Keys to Discover Piano Toy is rated 5.0 out of 5 by 3. An entire concert fits in the palm of your hand. 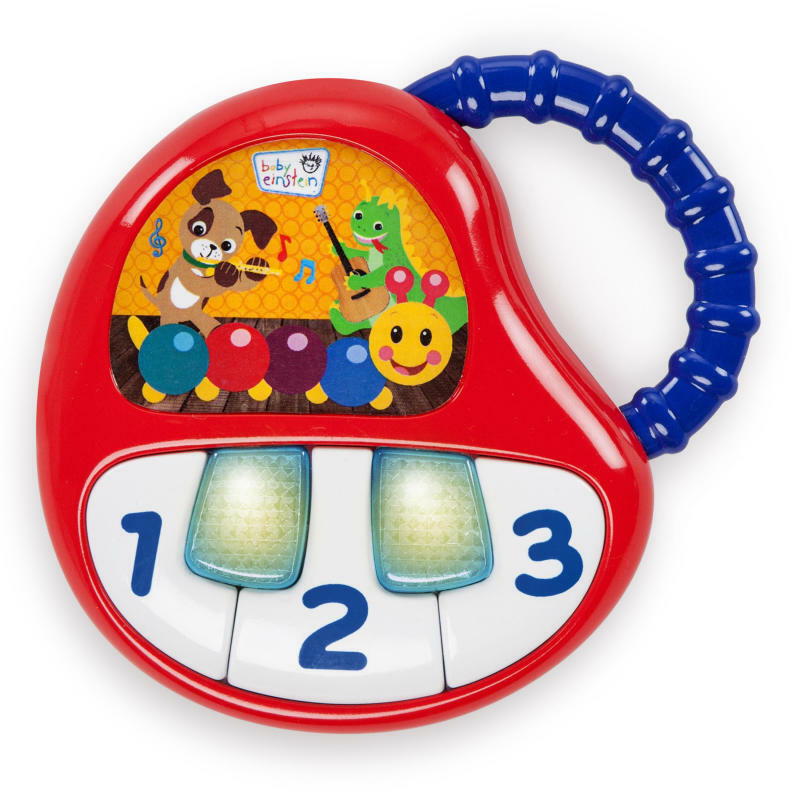 Engage your baby’s musical spirit with this take along musical toy. The oversized keys are easy for little hands to tap. Your baby will enjoy playing their very first piano and watching lights dance along to 6 classical melodies. Discovery is instrumental with this baby toy from Baby Einstein. Listen to the 1, 2, 3s with counting in English, Spanish and French. The easy-to-grasp handle means your little musician can take this portable piano almost anywhere they go. Dimension (in) 5" x 1" x 4.5"
Rated 5 out of 5 by Isel206 from Super cute We purchased this for my son back when he was 6 months he still loves the little music and listening to the numbers even saying them along. Rated 5 out of 5 by Marcie from Purchased for grand baby, and he has used it consistently with steadily increasing skills. Definitely recommend. Rated 5 out of 5 by Marcie from Purchased for grand baby, Purchased for grand baby, and he has used it consistently with steadily increasing skills. Definitely recommend.